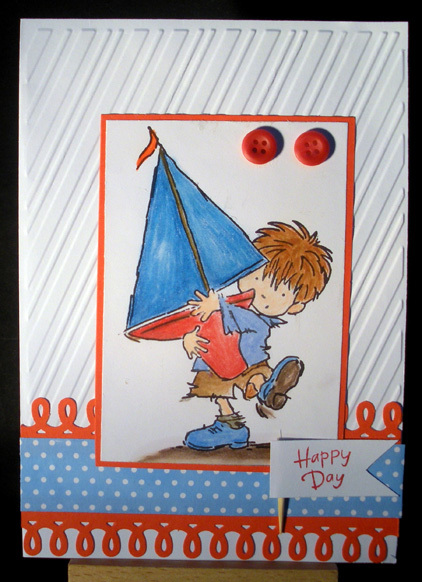 Stamp LOTV, MS border punch, Cuttlebug Candy Cane embossing folder, Prismacolour pencils. Hehe! What an adorable little boy image! Great take on our sketch at Pink Ink too! So glad you joined us! Fab card - I have this LOTV image - soooo cute!!! Thanks for sharing it with us at the crafters companion!! !